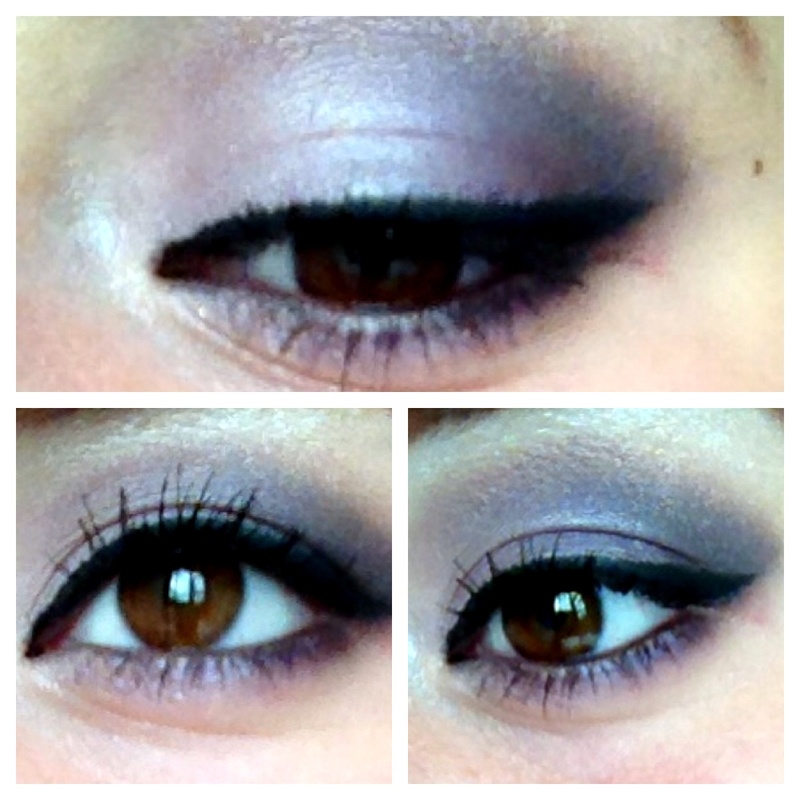 A good purple makeup look be it subtle or dramatic can really make brown eyes pop. 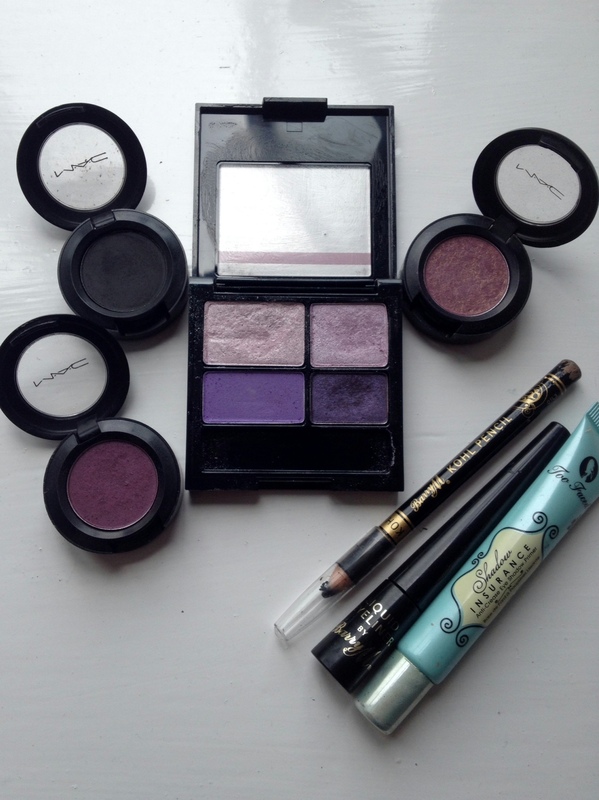 Whether you have hazel eyes, or a deep brown, purple is your best friend! I started by priming my eyes with Too Faced’s Shadow Insurance. This will help the makeup stay on your lids, and also help the colours pop. I then applied the second lightest purple from my Revlon Colourstay purple quad, and I put this in my inner corners, and in towards the middle a little bit. With the same brush which was my Real Techniques Shading Brush, I placed the third purple from the quad onto the middle of my lids, and blended it well into the lightest purple used. I then used the darkest purple from that quad and using the Real Techniques Base Shadow Brush, placed the colour into my outer V and blended well and up into the crease. For definition, I then used Typographic by MAC with the Base Shadow Brush and blended a little bit of that on top of the dark purple. I also dragged that dark purple down onto my lower lash line about half way. Next, for a pop, I used Nocturnelle by MAC with a clean shadow brush and used that to make the look a lot brighter. I put this shade onto the middle of my lid very lightly. The next step is optional but I used a little of Trax by MAC on a clean shadow brush and blended a little into my crease as a sort of transition shade, which helps diffuse the colours and help blend everything out gradually. After all that I lined my eyes with Barry M’s Black Kohl Eyeliner, and then went onto using Barry M’s Black Liquid Eyeliner and created a medium thick flick to help elongate and define my eyes. Lastly, I curled my lashes and applied two coats of Barry M’s Lash Vegas. For extra drama, you could use fake lashes, but I skipped this step. In real life, this look is a lot more vibrant as my camera quality isn’t the best! But if you have any recommendations for cameras or olloclips that would work really well with colour photography, please let me know!